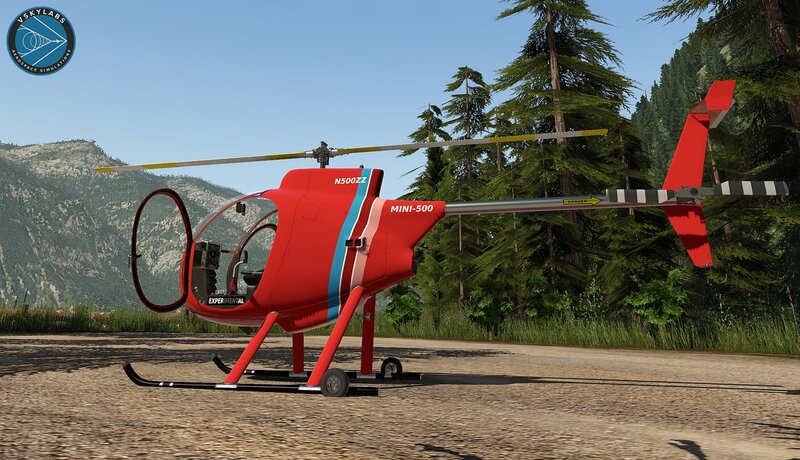 This project is part of the VSKYLABS 'Test-Pilot' series, designed specifically for use with X-Plane 11.30+ cutting edge Experimental Flight Model (should be enabled in X-Plane's General Settings menu). 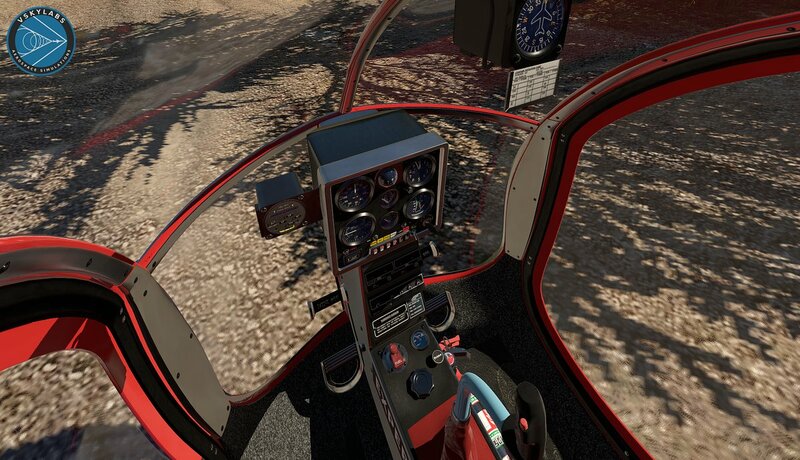 The VSKYLABS development of the Revolution Mini-500 project for X-Plane flight simulator was acknowledged by its real-world designer, Mr. Dennis Fetters, who also contributed several 1st hand reference materials for this project. However, it is an independent VSKYLABS project which is not related, affiliated and/or endorsed with/by the 'Fetters Aerospace Company' and/or Mr. Dennis Fetters. 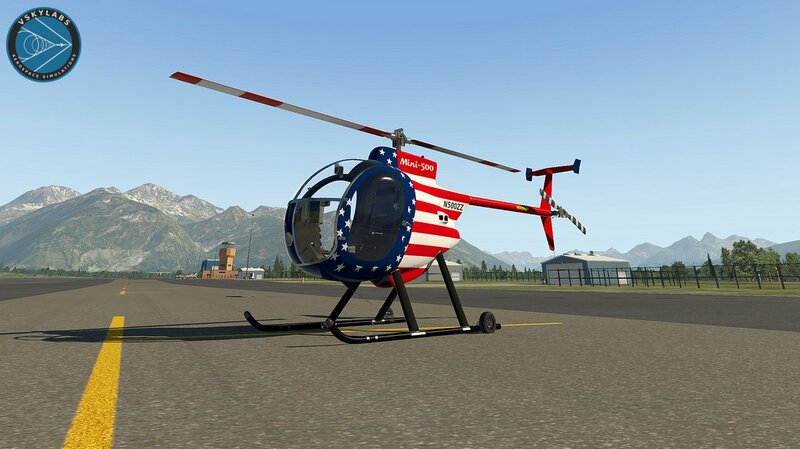 It is a very exciting and unique VSKYLABS project, designed to replicate the initial test-flights and familiarization phase of a new home-built experimental helicopter by its owner. 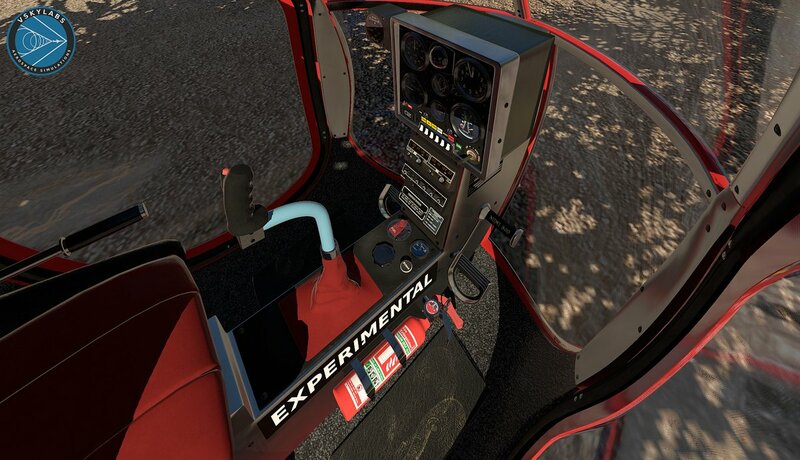 Vertical card compass/DG was moved from up front to the right-side of the front panel to allow clearer field-of-view (especially in VR). Flight dynamics model tuneup: slightly increased cyclic responsiveness. Engine available Horse-power tuneup (following X-Plane 11.31 update) to match the authentic POH performance chart. Airfoils updated to latest X-Plane 11.31. Coolant system/temperature tune-up to allow reasonable operations at high temperature weather conditions (45 degrees Celsius). 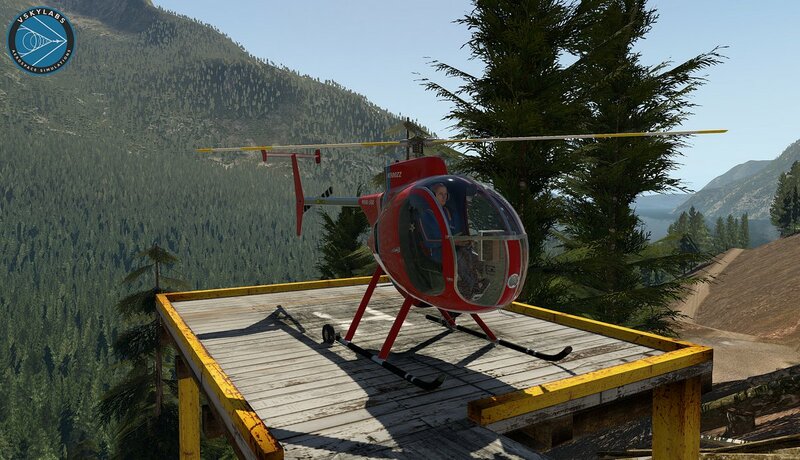 Fix to the FMOD sound pack for eliminating repetitive harmony in the transmission sound layer and in the rotor slap sounds in certain RPM's and in certain FPS. 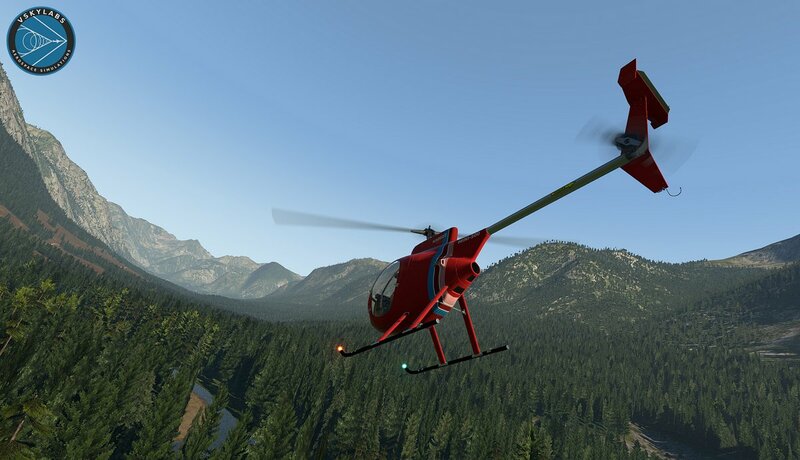 Autopilot system - eliminating altitude call-outs.